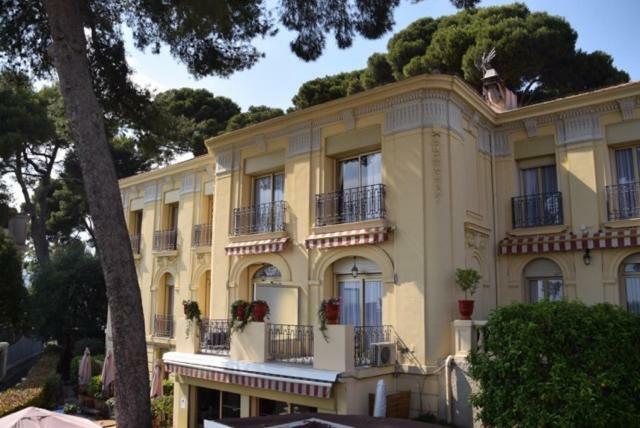 Lock in a great price for Hôtel Le Petit Palais – rated 8.9 by recent guests! I really liked the staff and the breakfast buffet. The room was really nice and spacious. I love the style of the room. I love how the bathroom has a tub instead of only a shower. The staff is friendly and very helpful. They helped me determine what sites I should see during my 3.5 day visit. The view on Nice, Nice breakfast and warm welcome. The staff was beyond helpful and the room was excellent. My vacation did not go smoothly (cancelled flights, hospital visits) but the staff truly helped in every capacity they could! I am forever grateful for their kindness and helpfulness. The room itself was very clean, the bed was comfortable, and the view was amazing! If I ever return to the south of France (should I be so lucky!) I fully intend to stay here again. The hotel is only rated four stars, but I truly felt like I got five star treatment. I will recommend this hotel to everyone I know! The neighbourhood is wonderful with interesting architecture and very quiet. Concierge staff were excellent. A wonderful place to stay out of the tourist beach areas. Our room had a lovely view of the city and partial view of the sea. Breakfast buffet was superb. Everything was perfect. The staff made our staff comfortable and enjoyable. The sea view room was outstanding! The staff went well out of their way to make us feel at home and were very professional. The Breakfast was by far the best I have had in Europe. My Daughter also enjoyed interacting with The Parrot that was at the Hotel. A very comfortable hotel up in the hill above town. Old school quality and charm. Located in Nice, Hotel Le Petit Palais welcomes you in a green and elegant historic district. Le Petit Palais features 25 air-conditioned rooms with a refined decor. Each is fitted with modern equipment and free Wi-Fi. 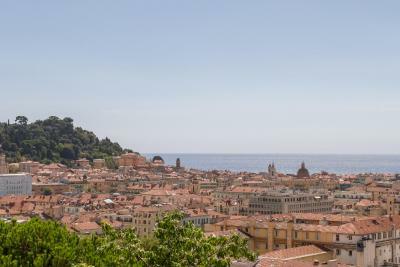 Some rooms rooms offer views of the sea or of Nice Old Town. The hotel is 10 minutes' walk from the Chagall Museum and close to the Matisse Museum and the Roman archaeological site. 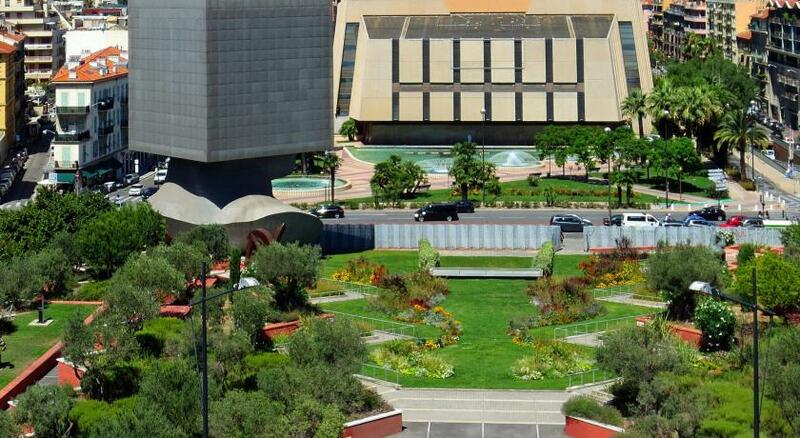 During your stay, enjoy the many attractions of Nice. You can go to the beach and shop in the city center. When would you like to stay at Hôtel Le Petit Palais? This spacious room offers a view of the grounds. This spacious room offers views of the sea and the city. This room includes a double bed. This spacious room has panoramic views of the sea and the city. This spacious room has views of the sea and the city. This single room has a flat-screen TV, mini-bar and air conditioning. House Rules Hôtel Le Petit Palais takes special requests – add in the next step! Hôtel Le Petit Palais accepts these cards and reserves the right to temporarily hold an amount prior to arrival. Please note that the hotel doesn't accept groups. Please note that the swimming pool is open from 1 April to 31 October. Mr. Phillipe of front desk is extremely hospitable. He is a great asset for the hotel. A few more plug sockets in the room would be good for charging devices and the toilet flush sometimes got stuck in the ON position. All very minor things. Very cosy and romantic setting in a beautiful neighbourhood. Free parking right outside the hotel. We also loved Jacko the parrot. Otherwise, a bit passé interiors, somehow shabby and without style. Extremely small rooms and the 4 stars are definitely overrated! Staff is friendly and the view is fantastic. The imitation grass on the breakfast terrace was rather uneven and bouncy for the metal chairs; had to be careful how you sat down and got up, my husband tipped over backwards! The staff were charming and helpful. The breakfast well cooked with plenty of choice to last you all day! The bed was very comfortable, the room light and airy. Great views to the sea and a friendly Cockatoo on the terrace! Very little. Only minor point was shower being a little awkward to use. The staff were brilliant. Recommendations for places to eat in Nice were fantastic. They were attentive to our needs and always asked how we were. Pool and garden were lovely. Everything. Great location, yes there is a slight climb, but you have the views. Breakfast in the garden is wonderful but €20 price tag for buffet breakfast was too much. There certainly was not enough items to charge this amount. Petit Palais made us feel at home. The staff was very welcoming and accommodating to our requests/inquiries. The hotel is situated within the perfect walking distance from the crowd on the hill. Enjoyed talking to the resident bird. Small but beautiful boutique hotel created cozy atmosphere.